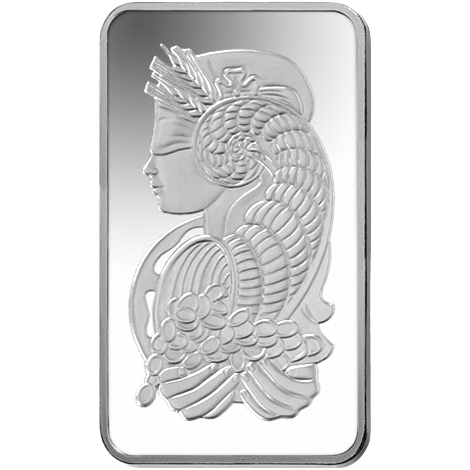 This silver bullion of 20 grams (g), or 0.64 ounces (oz), PAMP Suisse Fortuna is elegantly decorated with the famous Roman goddess Fortuna. 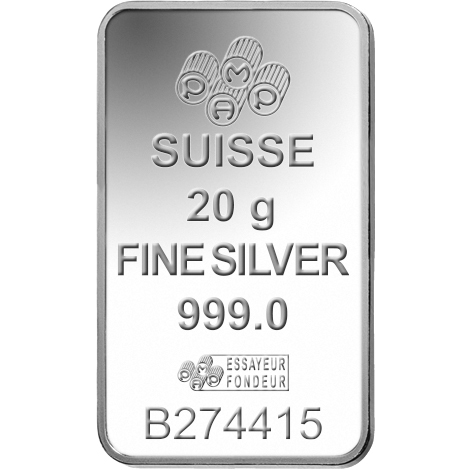 This 20g (0.64 oz) Lady Fortuna silver ingot is the world's most famous design. 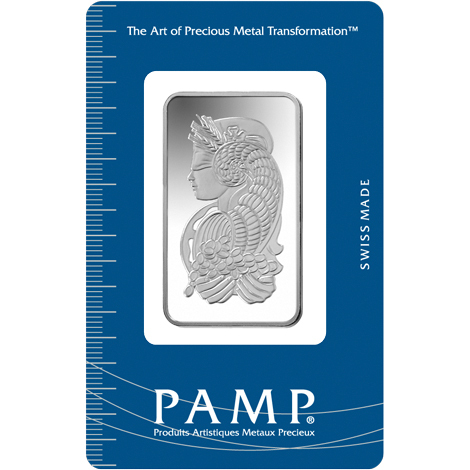 Lady Fortuna was the first design of PAMP and the first design to be issued on precious metal bullion (gold, silver, platinum, palladium). Silver bullion is an easy and convenient way to invest in precious metals, and it is becoming increasingly popular to invest in silver, instead of gold. This is especially the case for new investors. Indeed, the price of money on the financial markets has preserved the fortunes of its investors against inflation as well as periods of uncertainty. If you decide to buy this unique Fortuna silver bullion, you will buy one of the most popular bullions in the world. Lady Fortuna is known as a symbol of prosperity and good fortune. She is always represented with her mythical attributes, like the cornucopia in her hands, with the wealth that flows from it, and the wheel of fortune behind her. She is often represented veiled. 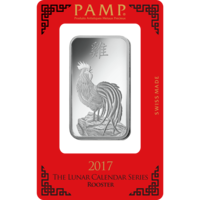 On the back of the coin, important information is displayed, for example, the weight of the silver bullion, the purity of the silver and the date of production. Please handle your silver ingot carefully. We recommend using gloves when wearing it to avoid getting dirty or leaving fingerprints on your investment. 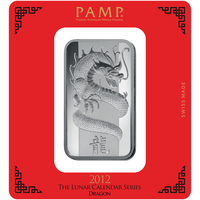 We also recommend storing the PAMP Suisse silver ingot in a nice presentation box or showcase. 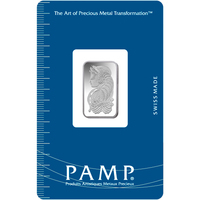 This silver ingot produced by PAMP Suisse is marked with the beautiful Lady Fortuna. Lady Fortuna was the daughter of the Roman god of light and sky, Jupiter. It was the first artistic design to decorate a gold bullion and other precious metal bullion in the world. 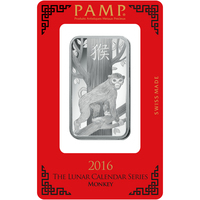 PAMP is very proud to have been "the first to embellish its bars with decorative motifs". These silver ingots are a great way to display and decorate precious metals, making it a unique addition to any collection.